Sign up for our Free Newsletter to receive special offerings and read about current and upcoming offerings from AcuPresence. Learn about Upcoming Classes, Workshops, Retreats and eLearning Courses offering CEU/PDA’s and Non-CEU Courses to earn CEU’s/PDA’s. The calendar for 2019 Classes, Workshops, Retreats and Trainings is currently being organized. Please look for our latest newsletter or check back here in a few weeks. Download your Free sample Medicinal AcuPresence and I Ching AcuPresence Protocols. Schedule a Private Consultation with Alaya DeNoyelles, and receive a personalized healing protocol with a set of acupoints crafted specifically to meet your current needs. Download your Free Gene Keys Golden Path Profile and Human Design BodyGraph. Join our YouTube channel to learn more about the healing Art of AcuPresence, locating acupoints,the elements, meridians and more. Medicinal AcuPresence Protocols: There are a variety of carefully crafted eBook protocols with selections of acupoints that provide specific medicinal benefits such as strengthening the immune system, harmonizing emotional stresses, balancing hormones, relieving headaches, preventive self-care and much more. I Ching AcuPresence Protocols: There is a corresponding eBook protocol for each of the 64 Hexagrams in the I Ching. 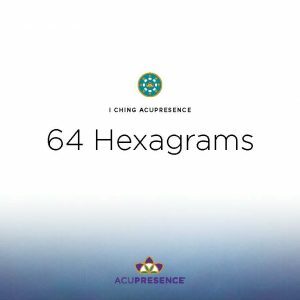 Each one includes the overview keynotes of the hexagram and the 6 acupoints associated with the hexagram. AcuPresence Attunement Kits that include Attunement Seeds, Tweezers and a Personal Measuring Ruler.